The explosion led to a fire in which some machinery of the factory was damaged, a police official said. 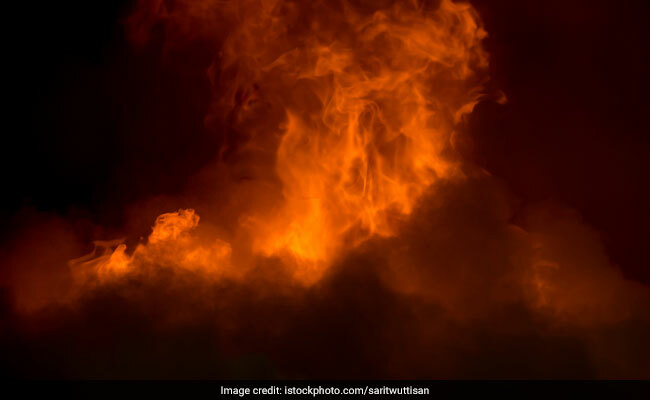 Rajamahendravaram, Andhra Pradesh: Three tankers carrying hydrogen gas exploded one after the other at a private oil factory at Samalkot in Andhra Pradesh's East Godavari district in the wee hours today, police said. No casualty was reported as there were no workers in the factory when the mishap occurred, he said. Initially, a hydrogen gas tanker exploded and then, in a chain reaction, two other tankers carrying the same fuel blew off, Peddapuram's Deputy Superintendent of Police (DSP) C V Rama Rao said. The deafening sound caused panic among villagers residing nearby as they feared it to be an earthquake. Meanwhile, the fire caused by the tankers' explosion spread inside the oil factory and damaged the machinery, he said. Fire tenders from Samalkot and Kakinada were rushed to the spot to put out the flames. "An assessment of the property loss is being carried out. Revenue officials also reached the spot and we are obtaining a report from the factory management. The situation is now under control," the DSP said.